Get ready for October with this Editable October 2016 Calendar. 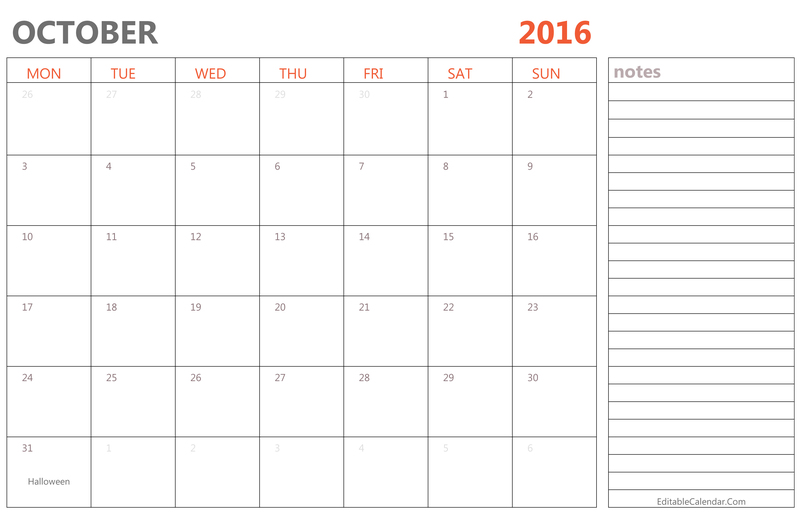 The calendar was designed with holidays and vacations. Free to download, edit and print.